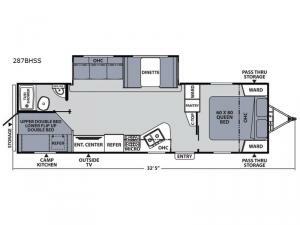 If you have been wanting to upgrade your travel trailer with a unit that includes an exterior camp kitchen for the outdoor chef in the family, take a look at this Apex Ultra-Lite. You can even watch the outside TV while making dinner all while your spouse relaxes under the awning or by the campfire. When you are ready for bed you can return to the inside comforts of the front bedroom with a space savings door, triple wardrobes and a queen Evergreen Sleep mattress. 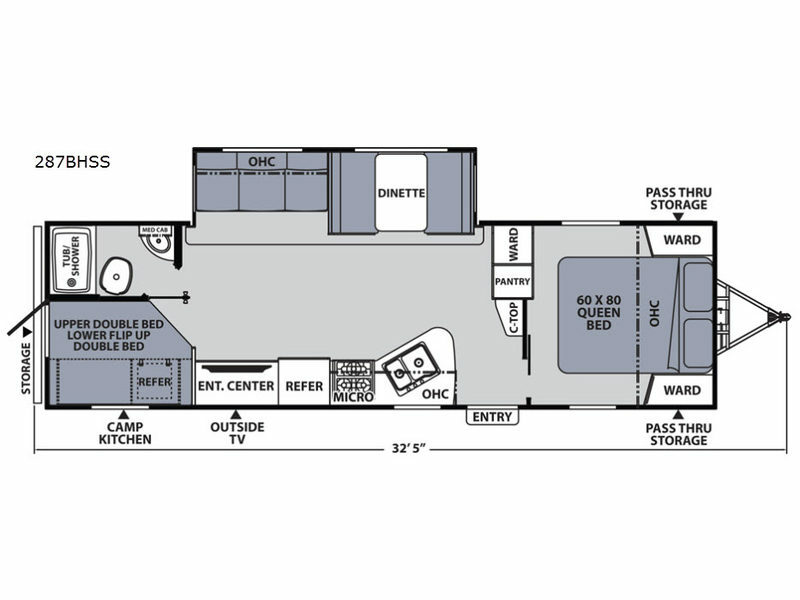 The kids will have their own double size bunks, and comfortable furniture in the slide out if more space is needed. The rear bath is conveniently located next to the bunk beds for the kids. You will find many more features in this model that you are sure to want on every campout! The Coachmen Apex Ultra-Lite unit is a quality lightweight travel trailer that is eco-friendly with innovation throughout. Each model is built with an Aluma-cage construction, plus vacuum bond Azdel/fiberglass walls and a laminated crowned roof. The inside includes stainless steel appliances, energy efficient LED interior lighting throughout, and a USB charging station to keep the devices ready for more adventures. It's time to find the perfect model for you, and start enjoying each camping trip!